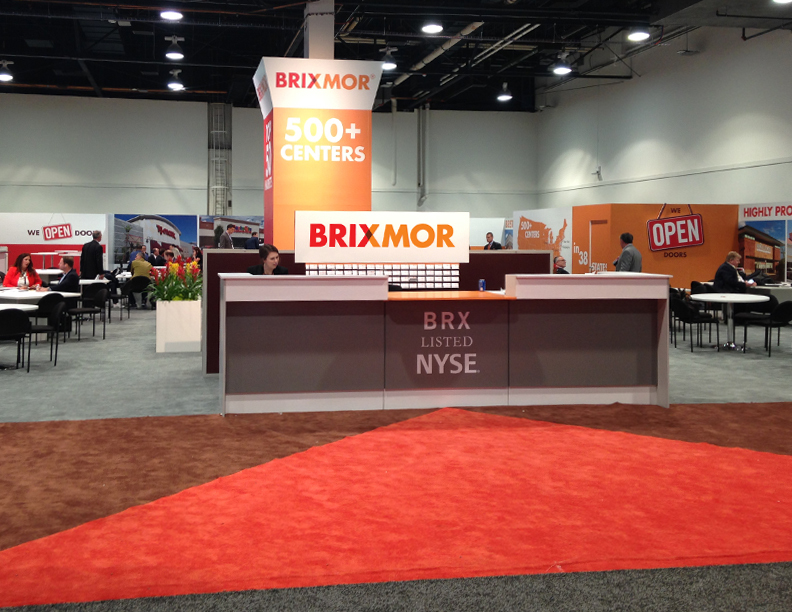 Brixmor’s open layout and clean lines help set this 7,000 sq. 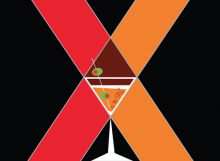 foot exhibit apart from its RECon counterpoints. 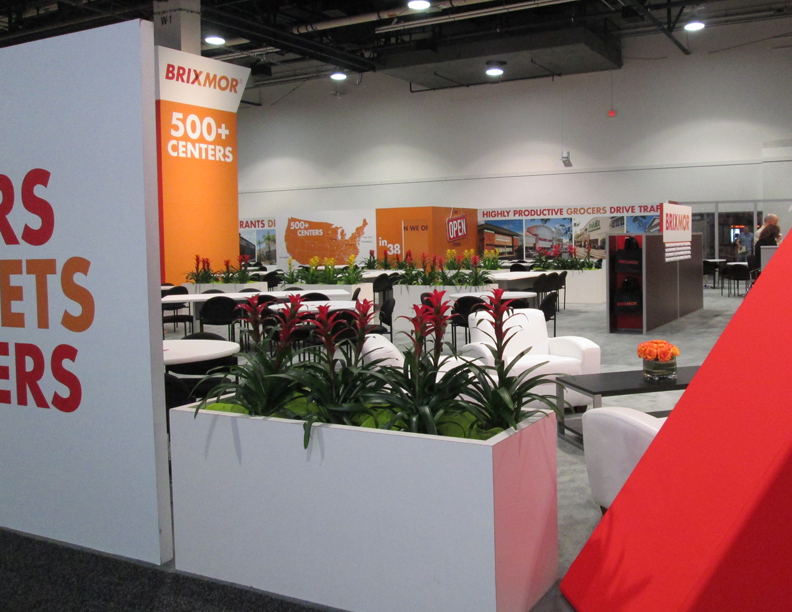 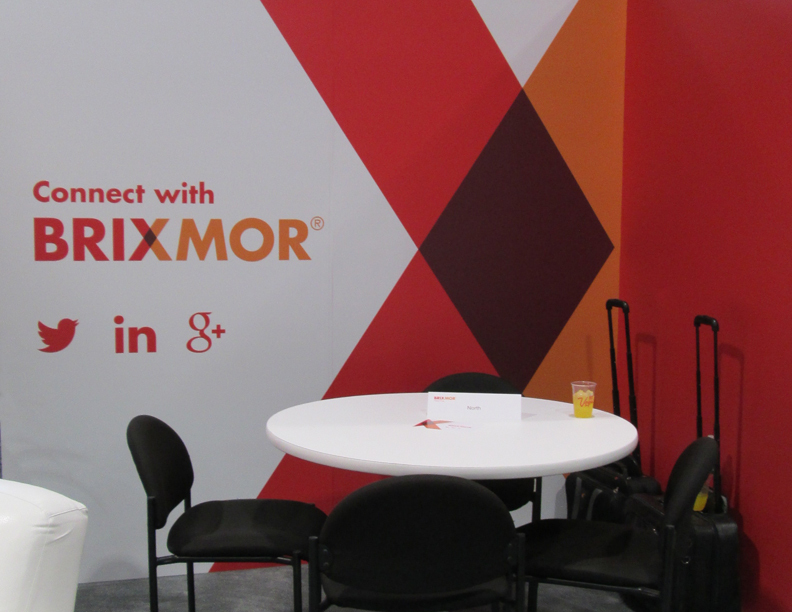 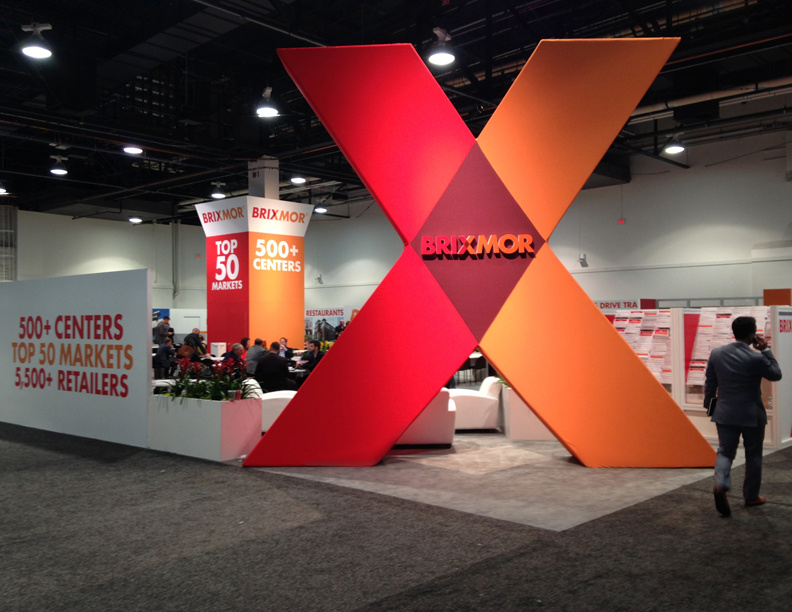 The single 16’ iconic “X” feature commands attention at the entrance to the exhibit hall while incorporating the Brixmor and logo and X into the overall design of the space. 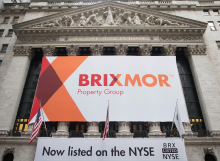 The space’s design was to assist Brixmor’s sales team in working out deals. 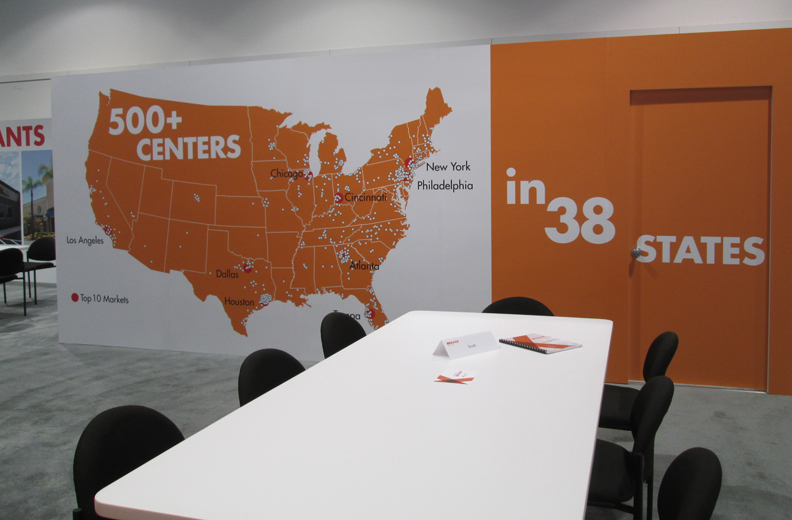 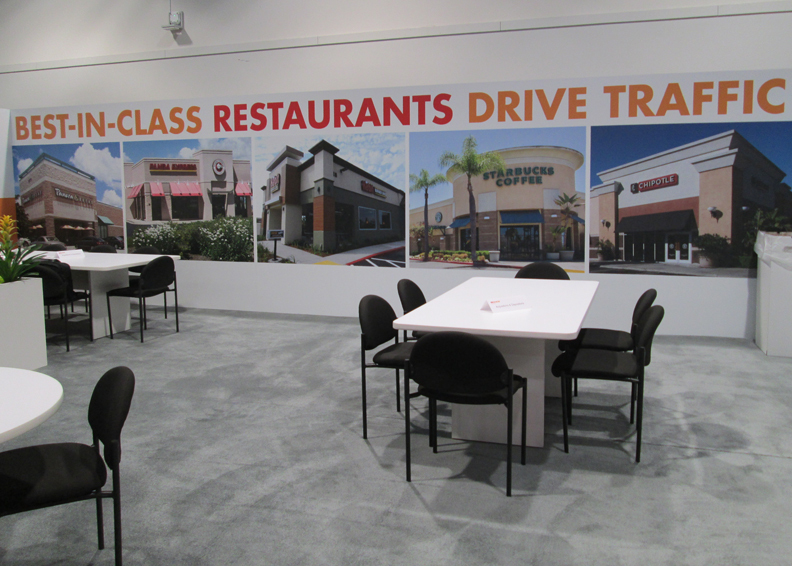 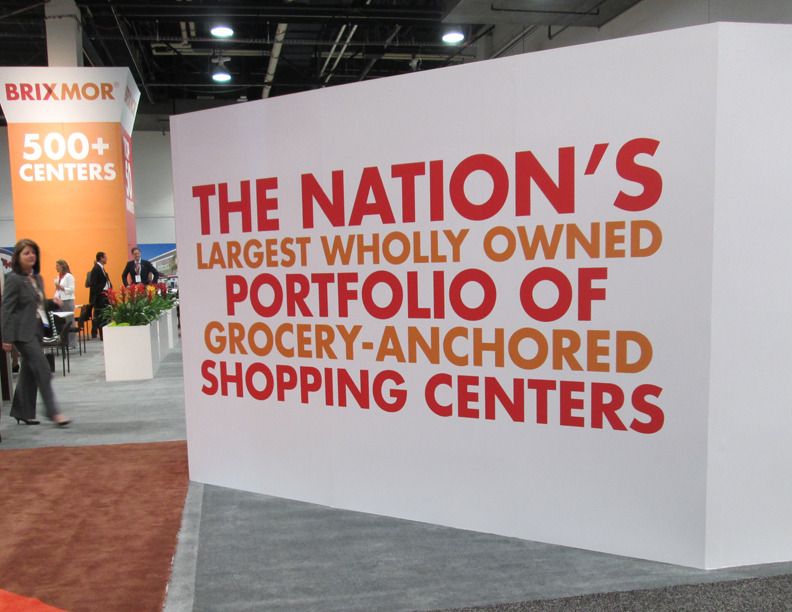 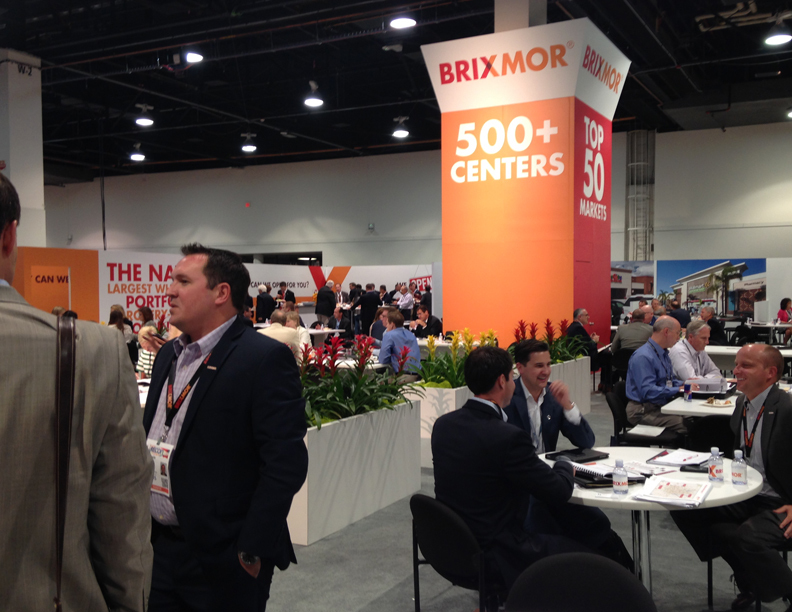 Featuring vinyl wall graphics throughout, the dramatic map wall plots all 500+ of Brixmor’s centers across the nation. 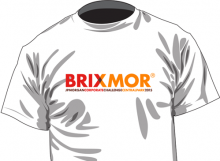 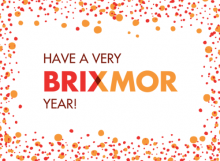 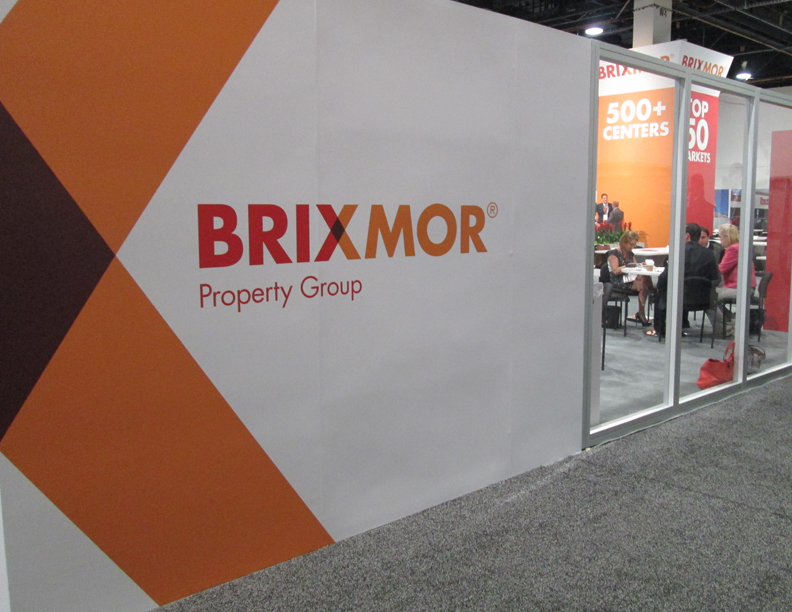 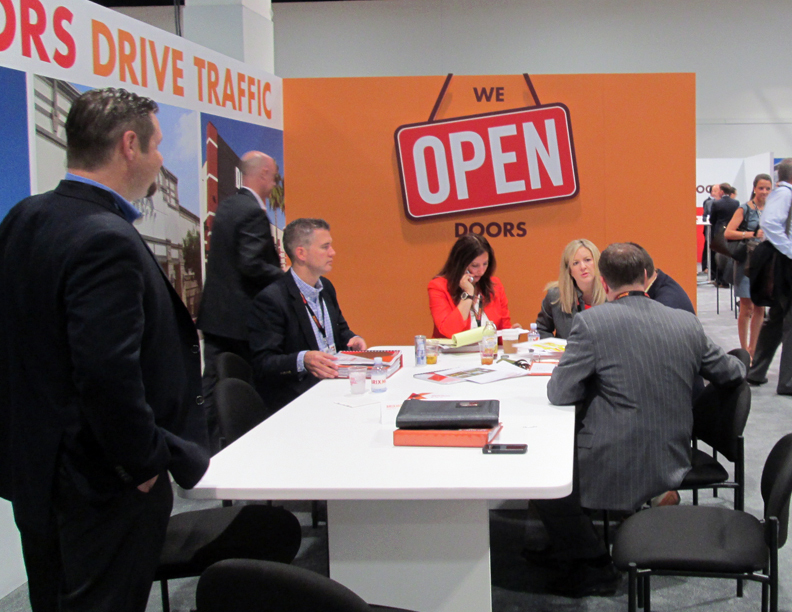 Short taglines hammer home Brixmor’s impressive achievements which set them apart from the competiition in the neighboring booths.